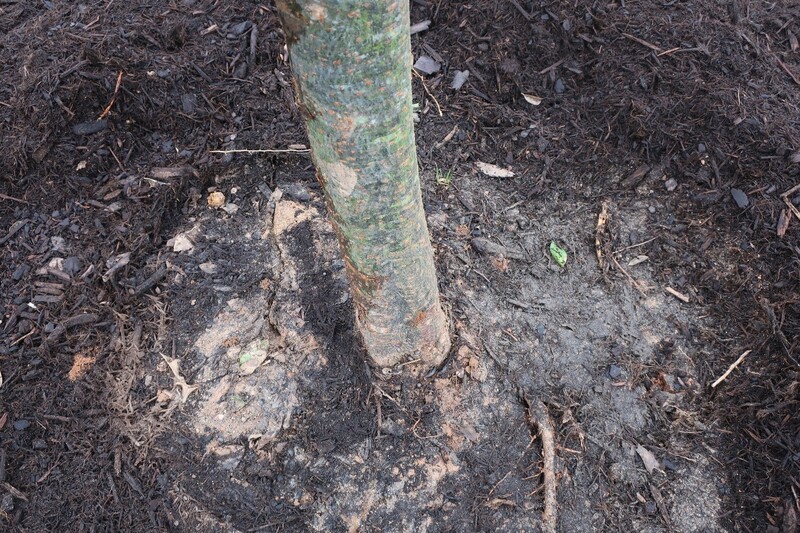 During the site assessment, you must be able to determine the features that will most directly affect the establishment and long-term health of a tree. If the site cannot be modified, then you must select species that will work. Our Tree Owner's Manual contains an easy-to-use checklist that might be helpful. While this will limit your species palette, it is best to know now rather than to lose precious time and investment. 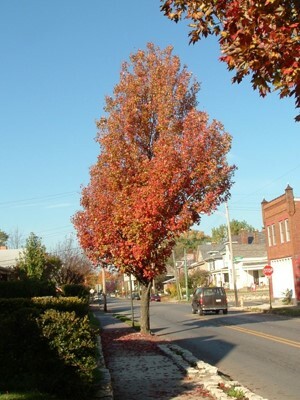 For a tree to maximize its environmental and economic benefits, it must grow well and maintain health into middle age, which may be 30-50 years, depending on the species. You can select species that are extremely adaptable and can be grown in about any location. 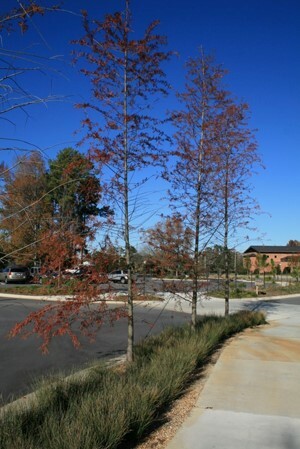 These bald cypress are growing in a tree lawn that is serving as a storm-water device. Although young, these trees will fill this space in no time. One of the most overlooked or neglected parts of a landscape is the soil. Yet, it is the portion that sustains all life. To have a healthy, beautiful landscape that provides a multitude of environmental, social, and economic benefits, you must understand something about the soil. There are physical and chemical characteristics of the soil that govern how it behaves and how it can support plant life. By understanding these traits, you can manage your site to maximize plant health and growth. 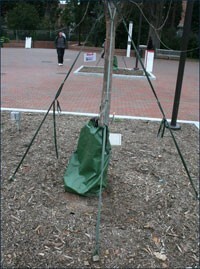 Employing proper planting techniques means that plants will be more tolerant of adverse weather conditions and will be less prone to attack by insect and disease organisms. Planting technique affects water quality because proper installation minimizes water use, fertilizer, and pesticide use. When making decisions on planting techniques, you should consider the plant's drainage requirements, the soil conditions, and the availability of irrigation water. While the contractor should always try to locate plants based on the planting plan, he/she may need to make adjustments in the field to address unforeseen complications. As with all other aspects of landscape installation, such as a patio or lighting system, it is essential that you build a good relationship with your landscape designer, garden center expert, and landscape installer (contractor). 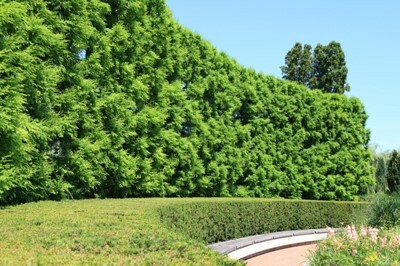 You can take on some projects on your own, but in some cases, like designing an entirely new landscape, you may need to elicit the assistance of horticultural or other experts.